On the night of June 12th, 2016, a popular gay club in downtown Orlando called ‘Pulse’ was attacked by a gunman who claimed the lives of 50 people and injured 53 people. It was considered an “act of hate” against the gay community from the attacker who pledged his allegiance to the Islamic State or “ISIS”. The nation is standing united against this act of terrorism and the gay community is getting more support than ever. 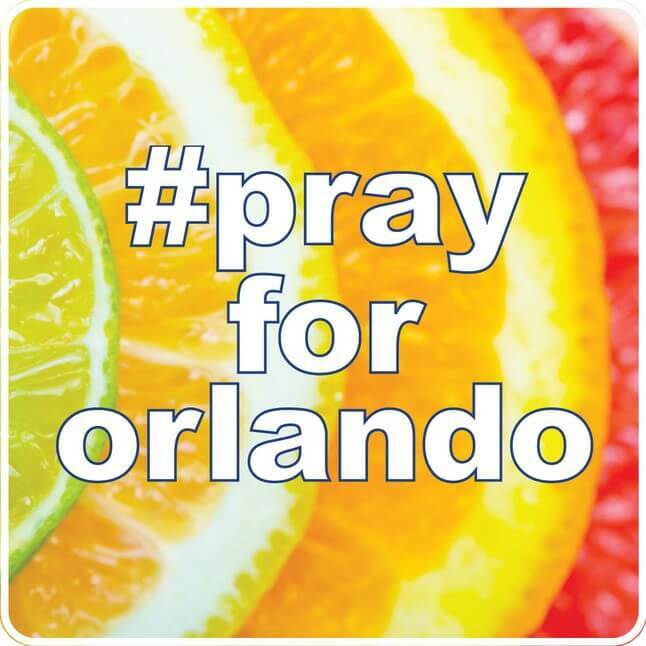 In honor of the victims of the tragic events that took place in Orlando, Citrus Sign Studio’s is selling #PrayForOrlando decals to donate 100% of the profits to the victims and their families. Click on the picture below to help show your support for the city of Orlando and the LBGT community! This is a horrible tragedy but we will face it together. If you are looking for other ways to show your support, Bustle has gathered a collection of #PrayForOrlando memes and Twitter posts.